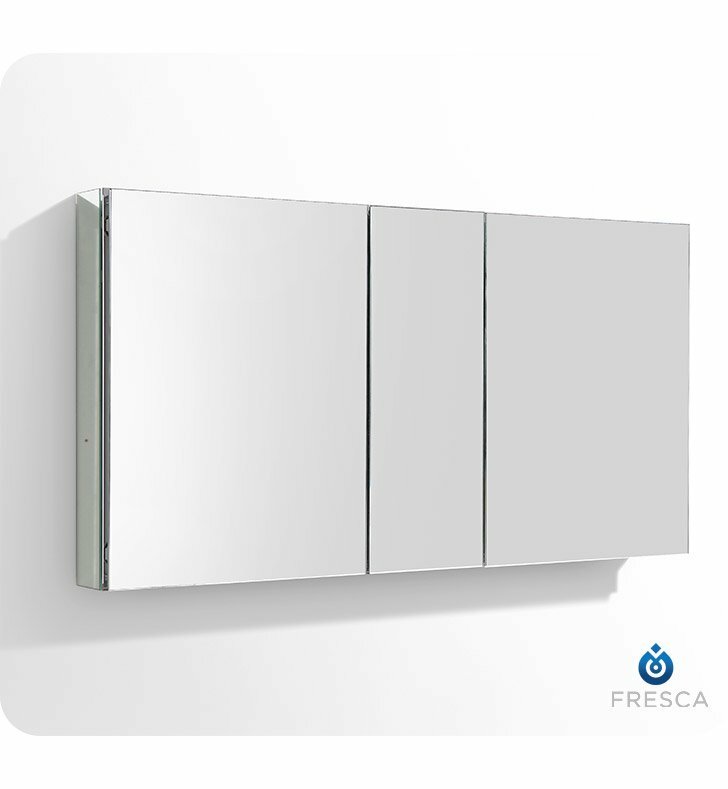 With plenty of mirrored surfaces, the FMC8013 Fresca 50-inch Bathroom Medicine Cabinet will make a stunning statement in your home. 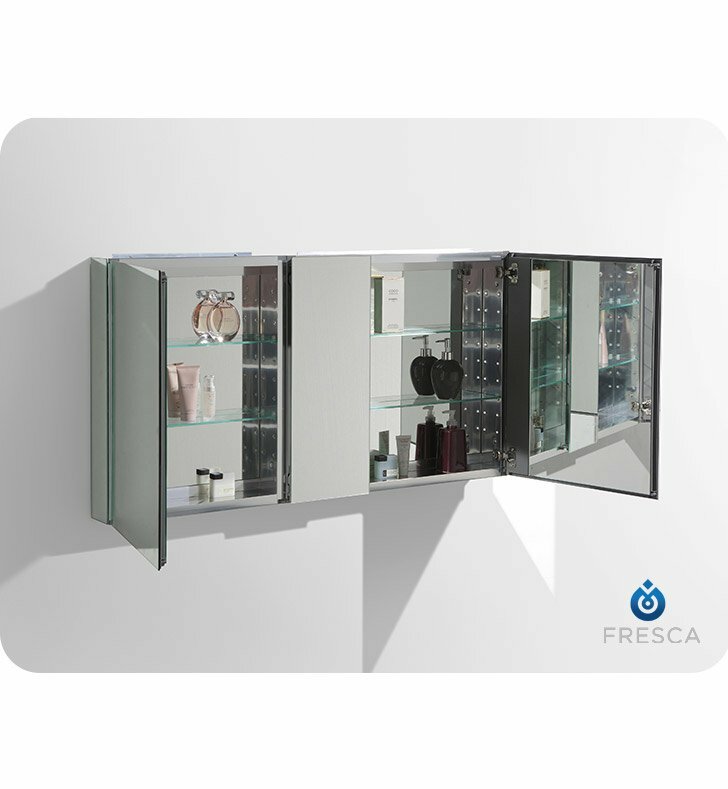 It features three doors with mirrors on both sides so you can have it open to access your makeup, while also keeping an eye on your appearance. 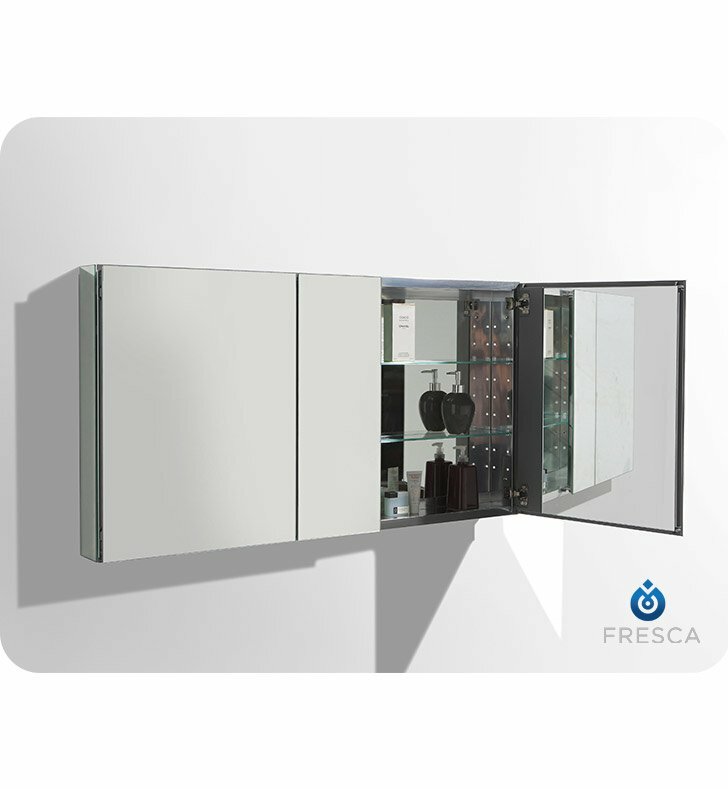 The mirrored interior of this Fresca medicine cabinet reflects your toiletries, which sit atop the four tempered-glass shelves. 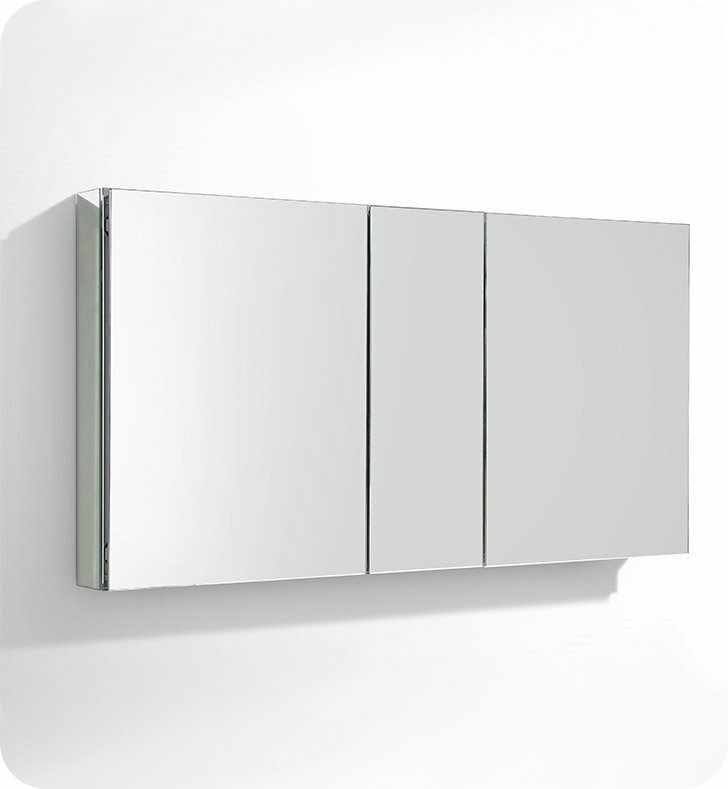 Measuring 48 1/2"W x 26"H x 5"D, this bathroom medicine cabinet with mirrors everywhere is sure to please. Dimensions: W 49" x H 26" x D 5"
The medicine chest arrived, I had my contractor install it, as I had a complete renovation done on my bathroom. It is beautiful, well constructed, has lots of room and I love all the mirrors too. A must have for anyone!!! Love this cabinet! Very well made. 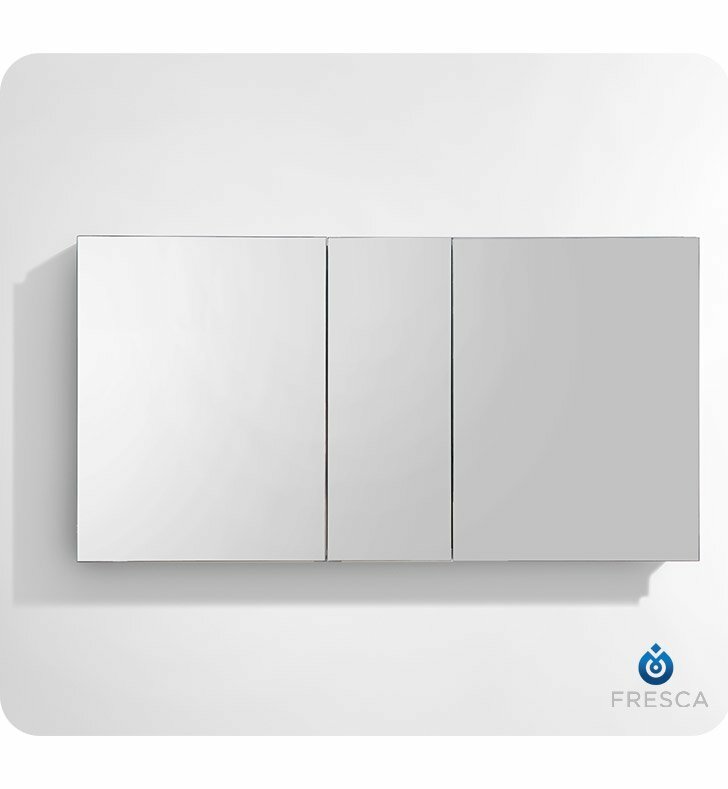 The interior mirrors make the room look even bigger when the cabinet is open. Installation was straightforward. A. The wider mirrored doors are 19.5 inches each, and the middle mirrored door is 10 inches.